Living in Canada, one has to accept winter as a fact of life. While it is true, we on the South-West coast are blessed with the mildest weather in the nation, the endless months of cold, rain, and snow have played just as large of a role in shaping our collective culture as the icy winds of the prairies, or the deep, drifting snow of the tundra. And when that winter arrives, I find myself seeking strong, bold, and simple flavours. Stick-to-your-ribs meals, stout beers, and peaty scotch to warm the bones when the icy chill sets in. It was with this in mind that I decided to pick-up a tin of Cornell and Diehl’s DaVinci blend. Reputed as having one of the highest Latakia contents on the market, I expected this to be a simple, mono-chromatic smoke that satisfied the craving for the vaunted dark-leaf while providing a decent kick of nicotine - and while I wasn’t disappointed, this tobacco is so much more than just another Latakia bomb. Now, before I go any further, let me say this: If you don’t like Latakia, you are not going to like this blend. The dark, bold Cyprian variant of the leaf reputedly makes up seventy-five percent of this blend, and is the prominent flavour. However, if you do enjoy the dark-side, then read on. My tins are from an October 2011 production run, and as such have a scant three months aging on them at the time of smoking. Offered in the standard 2oz Cornell and Diehl tin, I feel the label requires mention here. A simple sketch of a pipe, over a watermarked Virtuvian man all presented on an "aged" background comes together to appear as if a page was torn directly from DaVinci’s notebook, and offered up for printing. 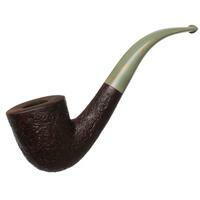 A simple, yet complex design that is reflective of the fine tobacco contained inside. 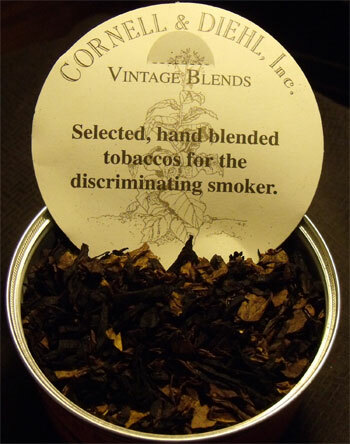 Upon opening the tin, one is met by the top card, denoting that you are about to partake in a Cornell and Diehl Vintage Blend, Created from Selected, Hand Blended Tobaccos For the Discriminating Smoker; and while this doesn’t play into the smoking qualities of the leaf itself, I feel that the extra touch does improve one’s perception of the tin as a whole. 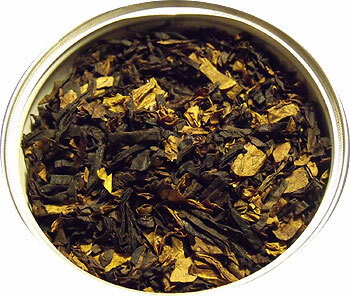 Upon close inspection of the rough-cut ribbon, one notes the sheer quantity of the dark-leaf; altogether not unexpected in a blend containing so much Latakia. Interspersed amongst the dark leaf, one finds browns and gold in shockingly high abundance; revealing the true character of this blend - Latakia forward, but with a supporting cast that refuses to be ignored. Although the blend is smokable directly out of the tin, I find that it benefits from a half-hour to fourty-five minutes of "airing", with the added bonus of filling the room with a lovely, peaty Cyprian Latakia aroma (which is about the only note that I can discern on the tin). I find this blend responds very well to the "air-pocket" packing method, and while this blend does offer up a large amount of the bits and dust that I have come to associate with both Latakia bombs and many C&D Latakia forward blends, I find this kindling to be a boon when it comes to lighting the rather broad ribbon. A quick sip pre-light sends one directly to the peat-bogs, with the strong, oily, smoky notes of the Cyprian Latakia dancing across ones tongue. 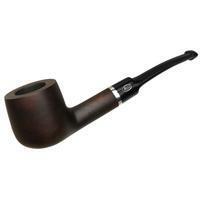 The charring light brings a rush of pure, rich, and earthy Latakia with slightly nutty undertones. This blend can fight the flame a bit, due to the coarseness of the cut, and I find that taking the time to ensure a good false light will reward you later. With the true light, the peaty, camphor notes of the prominent Latakia spring forth; lying heavy on the tongue. Hidden amongst the voluminous blue clouds are fleeting hints of sweet and tangy (think kiwi fruit, or those sour candies) interplaying with a very slight nuttiness. As the bowl settles in, I quickly pick up earthy and slightly grassy notes, with a pleasant meatiness, both in the flavour (think slow-smoked meats) and in the quality of the smoke; which grows almost chewy-feeling. The tangy-sweetness grows bolder, while the heavy notes of the Latakia continue to dominate; yet not overwhelm. I also begin to notice a change in the flavour of the Latakia itself, with some of the peaty harshness slipping away…I attribute this to diminishing returns as ones palate grows inured to the flavour, blending magic, and of course, quality of ingredients. As the bowl approaches the heel, the sweet notes begin to slip into the background, while a pleasant, almost musty, soil like flavour takes hold. The dominant note remains Latakia, however the harshness continues to diminish. 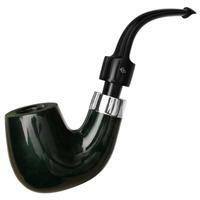 A slight, almost (but not quite) ammonic note can slip in here, especially if you tend to smoke quickly. I also note an almost menthol-like mouth feel as I hit the last few puffs, which personally, I find adds to the experience, leaving my mouth with a fresh feeling. Post smoke, however, this blend will leave a fairly heavy flavour of Latakia on ones palate; as well as entrapped in ones hair and clothing. While the former is fairly easily dealt with through food and drink; the latter does become an issue. If your significant other doesn’t appreciate the wet-campfire smell of latent Latakia smoke, you’re going to want to avoid this blend around them. Along the same lines, one should not expect a room-note that will win you any friends. If one could reach down and capture the aroma of the seventh level of Dante’s Hell; I suspect it would be akin to this blend. Which is to say to me, it’s wonderful. To those around me, however, it leaves something to be desired. When it comes to nicotine, this blend is no slouch. While it won’t leave me reeling, it did prove enough to send my nicotine resistant body into sweats when smoked first thing in the morning. Comparable to many of the vaunted Crumble Cake Latakia bombs in strength, I would suggest a snack before getting into this one. For the cigarette smoker looking for a change, this blend should provide the fix you so crave (it certainly does the trick for this guy). The great Leonardo DaVinci was the epitome of the renaissance man. Known for his painting, Leonardo was also a great inventor, architect, biologist, doctor, and, first and foremost, a learned man of many hats. And while this blend which bears his namesake is, first and foremost a Latakia bomb (or, perhaps more correctly, a "Latom Bomb"; as put by one of my pipe-smoking friends), it is so much more than that. Simple, yet complex; varied and never monochromatic; this blend has forced me to reconsider the role of the Latakia bomb in my rotation, indeed finding a very prominent place. Due to the intensity of the room-note and flavour profile, I would hesitate to call this an all day tobacco, but I do find that this blend plays prominently in my daily routine. SPONSORED LINK: Cornell & Diehl da Vinci Tobacco - Click Here to Order Now! I have loved Da Vinci from the first light, a number of years ago. I recall sitting at home alone, listening to music and sipping a scotch. I lit my first bowl of Da Vinci and very quickly became aware of a warm cloud of latakia-scented smoke surround me. I rarely am able to detect the aroma of a tobacco as I am smoking it, but this leaf is an enjoyable exception. 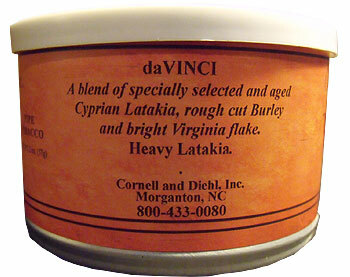 I have recommended Da Vinci to many people, warning them that it is a latakia-lover’s blend. Great review. I appreciated Adam Smith’s review, but I was confused by his description of the nicotine content. I had thought Orientals, including Latakia, were generally low in nicotine, and Cyprian latakia had lower nicotine levels than Syrian latakia. Additional information would be greatly appreciated. Thanks. 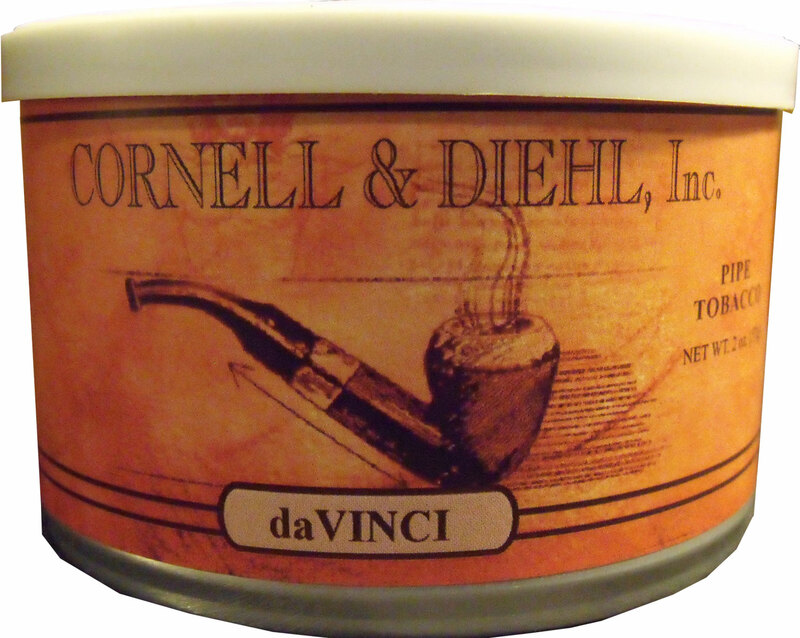 Da Vinci is a fine tobacco and this was a fine review of that blend. When I want a Latakia-heavy blend, this is my premier choice. Mark, believe me, you are not the only one confused by this. Like you, I’ve always heard that the Oriental varietals (including Latakia) are very low nicotine, I find some of the stoutest blends in my cellar are “Lat Bombs”, ala Ten Russians, Pirate Kake, and of course, DaVinci. I can only assume that it is the strength of the Burleys and Virginias added to the blend, perhaps even through the application of “flavour neutral” casings and toppings. Of course, this is total supposition, please don’t quote me for wrote - perhaps someone more knowlegable than I can chime in? Schmitzbitz, thanks for the response. Is it possible there’s a confusion between strength (whatever that is) and nicotine…or is that just a silly idea? I’m thinking Russ Oulette and G.L. Pease could shed some light on this. 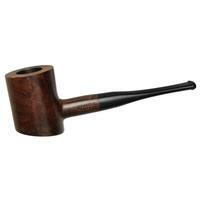 Some years ago, I wrote Mr. Pease asking about low nicotine blends and he suggested Abingdon. I like Abingdon alot, and in fact just bought another tin a few days ago (which cost, if you can believe it, $18.95 for 2 oz! ), but it is certainly a “strong” blend. While I can’t handle Latakia any more, regrettably, I found this review a thoroughly delightful read. I really admire your style, and ability to parse out and describe esoteric taste sensations. One in particular, which resonates with me especially well, is the isolation and recognition of a camphor note — an ephemeral element I was struggling to identify in another blend. So this has been both an edifying and entertaining experience. You’re building quite a portfolio of amazing reviews that many of us find invaluable as a reference source. I can hardly wait for you to get on the VaPer trail! Great review! I’m adding this one to the TAD list right now. 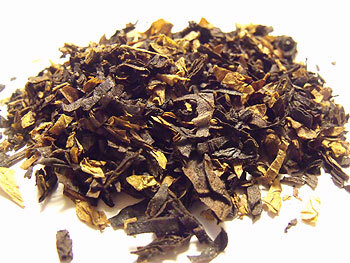 Cyprian latakia is very low in nicotine — the “rough cut” burley in the blend, however, has a huge nicotine kick. Bright Vas sometimes also have a good Vitamin N content. Doctorthoss, thank you for that information. It makes me shake my head in wonder, though, that a blend which is 75% low nicotine could have that much nicotine in the remaining 25% that it becomes overall a hi-nic smoke. 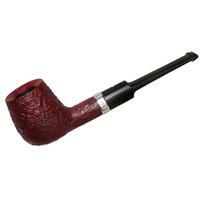 Does anyone out there have a recommendation for a good, low nicotine Balkan style blend? I don’t mean to make to big a deal out of this, but there’s too much out there about the connection between nicotine and heart disease to thrill me about hi-nic tobaccos. If I can satisfy my Latakia jones with a low-nic blend, I’d just as soon do it that way.